Business description from prospectus - Newgen Software is a software products company offering a platform that enables organisations to rapidly develop powerful applications addressing their strategic business needs. The applications created on its platform enable organisations to drive digital transformation and competitive differentiation. Its customers use the platform to rapidly design, build and implement enterprise-grade custom applications through intuitive, visual interface with minimal coding. The company’s platform comprises of Enterprise Content Management (ECM), Business Process Management (BPM), and Customer Communication Management (CCM). Newgen Software IPO allotment status is now available on Karvy Computershare’s website. Click on this link to get allotment status. 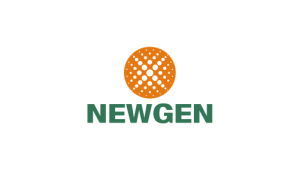 Newgen ipo allotment not found from karvy. What is problem?? ALLOTMENT TO NAHI DIKHA RAHA HAI…BUT MONEY IS DEBITED FROM BANK? Allotment hua ki nahi is ipo ka? This IPO is good, PE Ratio is good and EPS is also better. I think it will open at high or continue will increase. should we subscribe or not as long term investment ? and should this subscribe for profit book on listing day ?? You say it is priced lower than peers. Can you name a few listed competitors? What, is it sarcastic sir? 12% margin is not good?? It is good but less than Infosys and other IT players. Iam not blaming the company, just trying to evaluate before investing. You have made a good point and that’s the beauty of discussions. This IPO looks priced to perfection and leaves no upside for investors.